Cristiano Ronaldo and Lionel Messi combined for five goals in their respective Champions League Round of 16 second legs, helping Juventus and Barcelona advance to the quarterfinals of the competition. 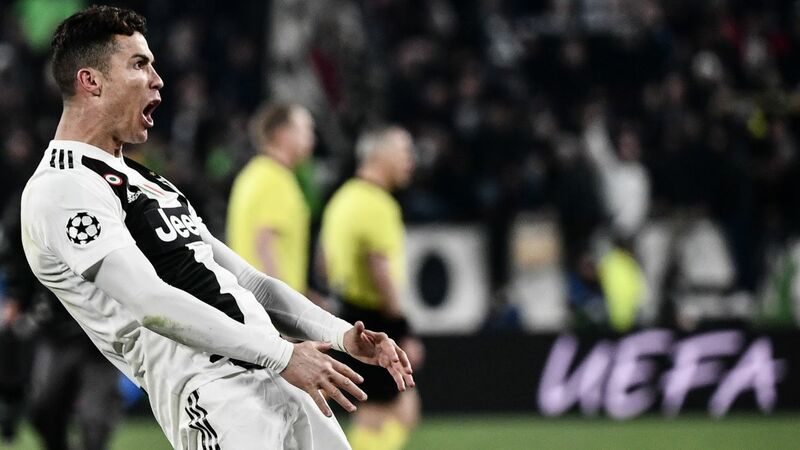 Ronaldo scored a hat trick to lead Juventus back from two goals down against Atletico Madrid on Tuesday, as the Italian champions won 3-0 at home to go through 3-2 on aggregate. The performance marked the eighth time that Ronaldo had scored a hat trick in Champions League play, pulling him even with Messi for the most all time. No other player has ever accomplished the feat more than three times. Ronaldo’s performance may well have lit a fire under Messi as well. On Wednesday, the Argentinian provided an unforgettable game of his own, scoring two goals and two assists in Barcelona’s 5-1 home victory over Lyon. Messi opened the scoring on a penalty in the 17th minute, providing the first goal of the two-leg tie. A score by Philippe Coutinho made it 2-0 at halftime, before Lyon struck back early in the second half to fight back to within a goal. That left the result hanging in the balance, as Lyon would advance on away goals if they could force a draw. But Messi ensured that wouldn’t happen, first slicing through the Lyon defense to score his second goal, then assisting both Gerard Pique and Ousmane Dembele on goals of their own. After Barcelona’s victory, though, Messi wanted to talk about his rival’s performance the night before. Wednesday’s Champions League action wasn’t all about individual performances, however. Liverpool put together an outstanding team effort to score a 3-1 victory over Bayern Munich in Germany. Sadio Mane scored twice, and Virgil van Dijk added another tally to get Liverpool past one of the tournament favorites and into the quarterfinal round. The draw for the Champions League quarterfinals will take place on Friday. For now, Manchester City (9/4) is listed by William Hill as the favorite to win the competition ahead of Barcelona (10/3), Juventus (4/1), and Liverpool (9/2), though those odds are likely to shift once the pairings for the next round are revealed.